Get instant insight into any home’s rental potential. Enter the address of any single-family home in the U.S. and receive a complete forecast of potential return. The absolute must-have tool for any real estate investor. View cash flow, cap rate, appreciation and yield – with one click. Comprehensive data in one click—and it’s free. Access full functionality and unlimited searches, just sign up. Simply enter any address in the U.S. to start your search. View key metrics that forecast your return on investment. Adjust assumptions to create customized analysis. 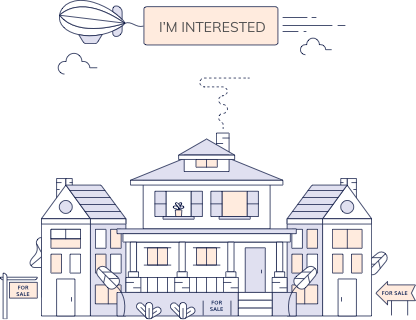 Roofstock’s Cloudhouse is for anyone who needs to know a home’s value. Invaluable in analyzing a home’s potential as a rental property—especially if it’s never been a rental. Get accurate home data quickly for client presentations and marketing reports. Found a home you’d like to buy? Submit it to Roofstock’s Bring Your Own Property Program! If it qualifies, you will get all the benefits of buying through Roofstock, including our underwriting, Roofstock Guarantee, property inspection and more. Please note that Roofstock’s BYOP is currently available in select markets: Atlanta, Dallas, Ft. Worth, Houston, Indianapolis, Pittsburgh, San Antonio. Thank you for using Roofstock Cloudhouse. This is a beta site and we’d love to get your feedback on how to improve experience for our next version.